All of us are affected by privilege. For those with privilege – even those of us who are somewhat aware of it – it is really hard to see. But it is really obvious to its victims and those oppressed, to whom it does great harm. One of the most important, meaningful and rewarding journeys of my life has been into my own insidious privilege, and out of this I have found greater meaning and joy in my life. It is a journey on which I still have a long way to travel, and I intend to keep going. It can be a very difficult journey, but it is an important one. I invite you to read this one person’s experience and perspective, and to use this as a lens for your own personal reflections. Most particularly I invite those of privilege – specifically white men – to reflect on the bias that our society and culture affords them; on the suffering this causes others; and, from a place of deeper and growing awareness, to consider what this requires of them. I was raised white, Christian, and male and I was well educated. I was reared by parents who preached equality of rights in a society (the UK) which had a similar rhetoric. Intellectually I believed this both to be right and also to be true. But in my successful high school (which had approximately 1,000 students) there were just two kids of color. 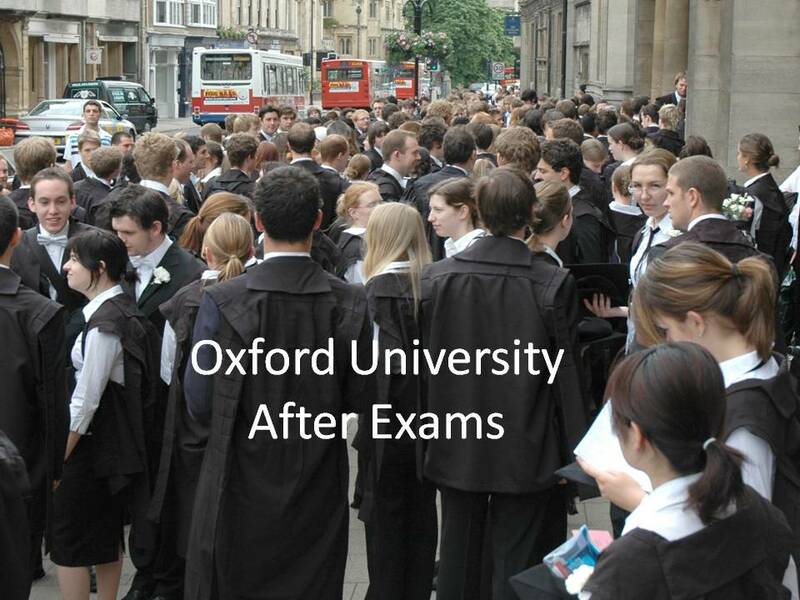 When I went to college, which I believed at the time was based entirely on my merits, I went to Oxford. I did not even notice the absence of people of color in my college student body (undergraduate population 300), or in the teaching staff, and its considerable lack in the larger university population of 10,000. And similarly I did not notice the total absence of people of color at my first employer, a 100-person office of the international audit firm of Deloitte. It is only as a mature adult, after many years engaged in interfaith and inter-cultural work, that I have become aware of privilege in my life and moved to change it. And with the benefit of hindsight I can see how hard it was for me to realize my own privilege. By way of example, I had always believed in equality of rights for women…or thought I did. But looking back on my childhood experience, I now realize in a way I simply could not have done back then that the way I, the only son, was treated by my parents was different from the way my sisters were treated. The differences were not things that I thought of as conveying privilege, they were just differences between boys and girls, differences between young men and young women. Differences like the sports we would want to play; who got to ride in the front of the car; who would drink a pint (versus a half-pint) of beer, or play snooker, or smoke a cigar. I didn’t realize that this is how privilege works: that by its nature it is self-deceiving and works to stay invisible from the inside; and that it causes enormous harm, most obviously in the direct suffering it causes its victims, but also in the diminished life of those who benefit from it. I have also been fortunate to see code-switching, a behavior completely invisible to those of privilege, but routinely practiced by those without: those with privilege are unaware that the dominant language and behaviors of “mainstream” society are theirs, and that those raised in and living with different traditions, cultures, and frameworks for socializing and conversation, will switch to the dominant behavioral mode when in the presence of those of privilege. I say that I was fortunate to see this, not just because it was a wonderful gift of diversity and awareness, but because by its nature code-sharing is invisible to those of privilege, for all those with privilege see is code-switched behavior. Beth and I recently spent five nights on Little Gasparilla, a delightful, quiet island off the Gulf Shore of Florida, accessible only by boat, where there are no cars, no shops, no restaurants. If you want to go out for the evening, maybe for a meal on the mainland or because you forgot to bring some important item of food to the island with you, you can arrange for the water taxi to pick you up at your nearest dock. It was Beth’s and my second time there, and we had a great time. Which takes us to a place where this blindness is more visible to the population writ large. 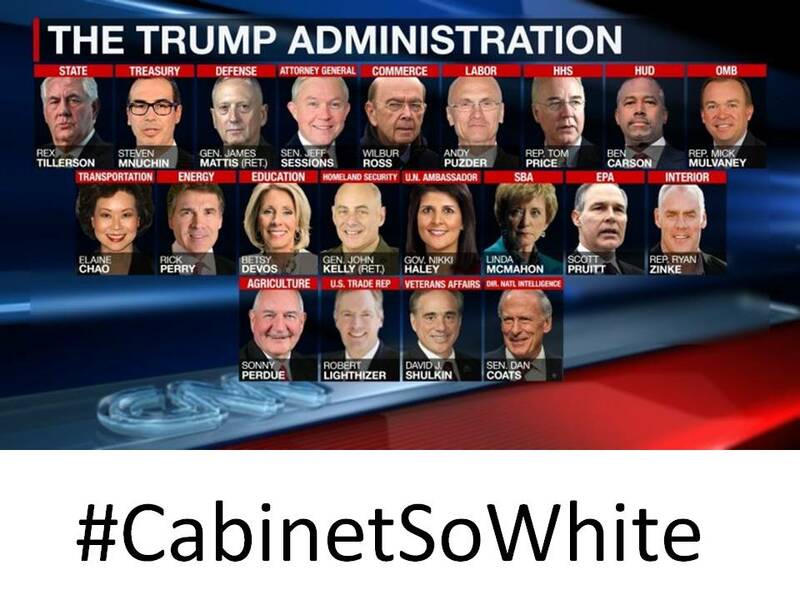 Trump’s cabinet (click here for a list with pictures) is white, male, straight and Christian. Of the 33 top members of his administration, only five are women, and two (including one of the women) are people of color (one African-American, the other Asian). The cabinet is also extremely affluent. Donald Rumsfeld once said, “There are known knowns. These are things we know that we know. There are known unknowns. That is to say, there are things that we know we don’t know. But there are also unknown unknowns. There are things we don’t know we don’t know.” While I don’t doubt some level of self-awareness of intentional elitism and prejudice in the decision-making around selection of the Trump cabinet, I also believe this administration is blind to the real nature of privilege. In the same way that I believe most of the residents and vacationers on Little Gasparilla simply did not notice the absence of people of color, I believe that in some important way, the leadership of the current administration simply does not see this absence in itself. When the process of cabinet selection began, there was a meaningful reaction in the press and the media. People talked about it. But nothing changed, and those of privilege (white men) simply continued to assume the reins of power. The protesting voices got quieter, and many of those lacking privilege, whose voices have been ignored for so long, simply stopped talking. And who can blame them? Take a look at the cabinets of the last six presidents. The trend up through this last president has been to reduce the number of white men in the cabinet, but even in the Obama administration only 1/3 were women. And the overall chart is one that shows dominance of white men in the cabinet since 1980. So if, after generations of speaking up and finally feeling some progress, the halls of power roll us back thirty years, why bother to keep showing up? Our modern understanding of a democracy is that it gives voice to all members of society, that it provides equality of rights and opportunities regardless of race, creed, color, sexual orientation and socio-economic level. We believe a resilient democracy has checks and balances to prevent an elected body from suppressing the rights. And we hold up America as an example, perhaps the shining example, of such a democracy. But the current administration is challenging this perception. A variety of factors (gerrymandering; dense urban Democratic-voting concentrations; the very existence of electoral districts; and a two party system) routinely permit a party that does not command a popular majority of the public vote to achieve a clear majority in the representative body. Today that party (the Republicans) has strong control over the Executive and Legislative branches of government. In theory checks and balances, including the Judicial branch and the fourth branch (the free press) hold this in check. But the current reality is challenging this. The administration is showing that a combination of privilege, prejudice, control of information, use of the bully pullpit and tactics of public shaming can shift the public conversation, squash minority voices, and dramatically skew politics to favor an influential minority. And the very nature of the cloud of privilege is that this minority is blind to their privilege, both in terms of the rights and privilege they continue to accrete, and in terms of the suffering and loss that is left in their wake. Once a group of people has power, it is tough to shake it, and those put in power by a system are not likely, of their own volition, to change it to their own personal disadvantage. So what are we to do with this? It is really, really important for those of us with privilege to step into this conversation. It is not enough to just protest the wrongs of a biased democracy that excludes so many – though it is important we do so. We must also work to understand and acknowledge our privilege, and from there to move into more intentional action to address it. We will see, as we do this work, that it is actually in our own individual enlightened self-interest to truly level the playing field. But we must do this work ourselves and not look to others, the oppressed and the victims of privilege, to lead us in this work. We must do it ourselves and tear down the edifices of privilege and tyranny from the inside. Wonderful Garreth! Such and important issue — it may be the single most relevant thing we can do to work on a long-term, wide-scale correction of this whole insanity know as the “Trump administration”! Hoping to see you in a couple of days! First, I wanted to apologize for my curt reply to this topic with only a hyperlink. Gareth has shown repeatedly that he encourages open and honest discussion. I should have taken the time to respond respectfully and properly and not just throw a hyperlink with an opposing view and leave. It is so easy to get mad at or just dismiss opinions you disagree with. I find that I have to continually work at keeping an open mind to opposing views. Social media, strongly biased news media pushing agendas and the very limited outlets people have for truly open and honest discussion make it even harder. On this topic I think it is very important to separate appearances from truth. IE “Because the cabinet is white, it must be filled with a bunch of racists”. If the best people for the job got the job, it shouldn’t matter their tan level. I don’t think that’s the case but to criticize based on appearance alone is just as wrong. I think this is one of my major gripes with some progressives, the appearance matters more than the substance. On the tyranny of democracy: Mob rule (democracy) is exactly why we are a Representative Republic. Our very foundation is to protect the rights of the individual against the tyranny of the mob/the government/fleeting popular opinion. This administration is far from perfect. I still think we are better off than we would have been with the alternative. The biggest problem overall is the lack of objectivity on both sides. Gareth, love and respect you man! We may strongly disagree on some topics but I have nothing but respect for you. Please keep the open dialog going! – the observation of a cabinet full of while folks does not mean they are all racist…but they are all white, and pretty much raised in an affluent, privileged white culture, which means they don’t have insight into and experience in other cultures within our country. Further, their selection is symptomatic of a dominant culture that disproportionately puts white, well-educated, straight men in positions of power and authority, and means that others grow up experiencing their culture, race, faith, etc. as not receiving the same visibility and access to power. The nature of privilege is not necessarily intentional preference, but unintentional, and the piece was about the importance of all of us examining this in ourselves. And on the tyranny of democracy: healthcare is a great example. The previous administration pushed through healthcare reform which was popular with their base and wildly unpopular with the massive segment of the population who voted for the other party. The current administration is in the process of throwing that away and putting in something new. When there is a change of administration and the Democrats are in control, I suspect the same will happen again. This is a system in which those elected impose their will on everyone, indiscriminately, and don’t have any incentive to listen to those who did not vote for them. The alternative “systems” don’t seem better, but the founding fathers expressly warned against the potential harm of parties hijacking our democracy (yes, we can call it a nuanced term, but that’s really what we see it as), and this hijacking has occurred with the result that we are internally divided along party lines, don’t treat “the other side” with civility and respect, and take it as our right, if “our side” wins to do whatever our side wants without regard to the other 50%-ish of the population.